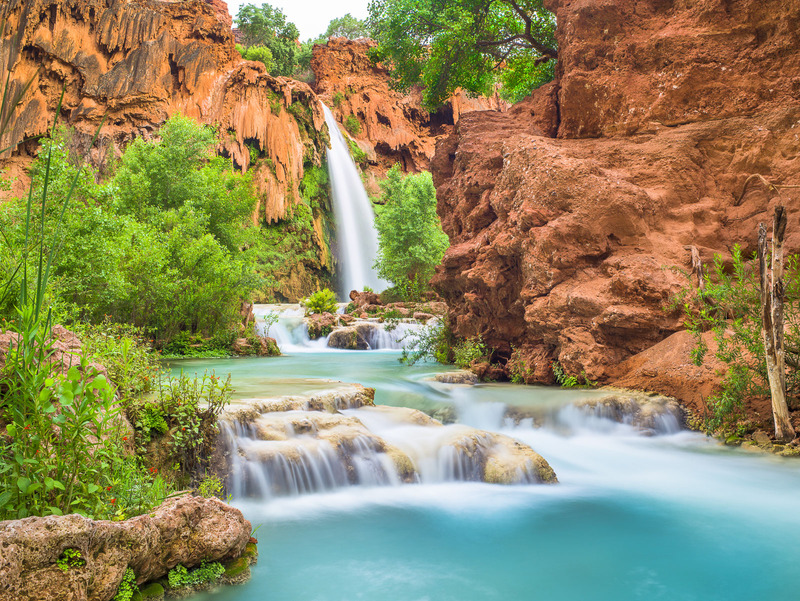 Havasu Falls is one of the desert's charished places. Spring time colors and the blue waters of this oasis makes one never want to leave. Photo © copyright by Lance B. Carter.